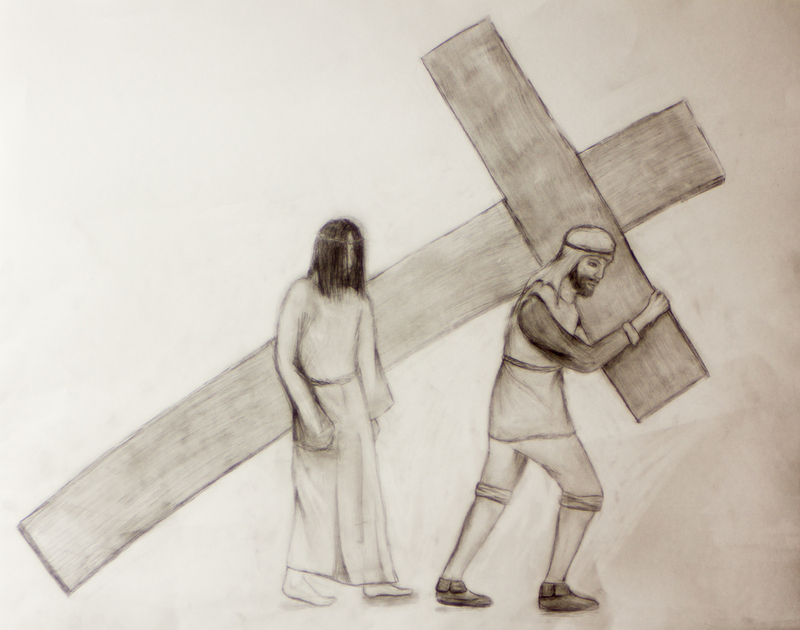 Since ancient days, those who make a pilgrimage to Jerusalem to be where Jesus was, and to walk where he walked have been quite intentional about following the “Way of the Cross” otherwise known in Latin as “Via Dolorosa”. 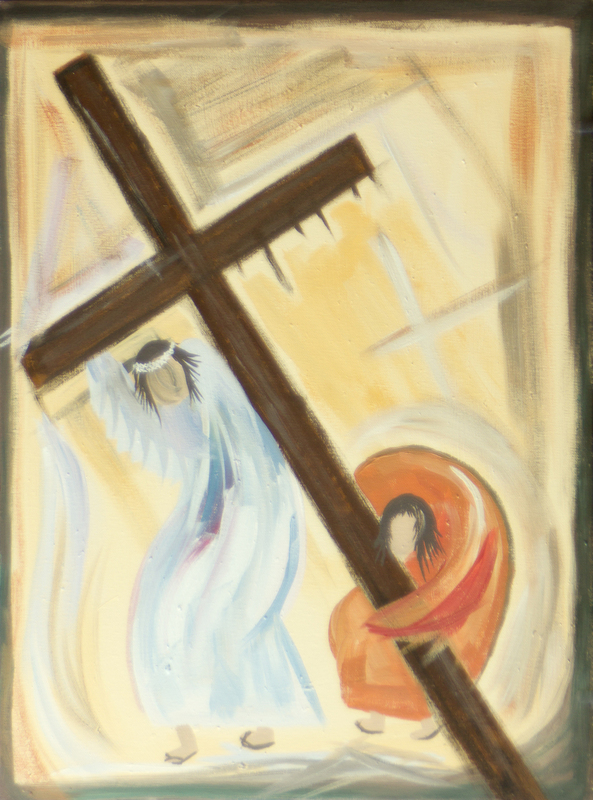 As a pilgrim followed the path, she would stop fourteen times for prayer: to remember Jesus condemned to death, Jesus meeting his mother along the road, Simon of Cyrene taking the cross for him, 3 falls of Jesus along the way, the crucifixion, death, and eventually his entombment. 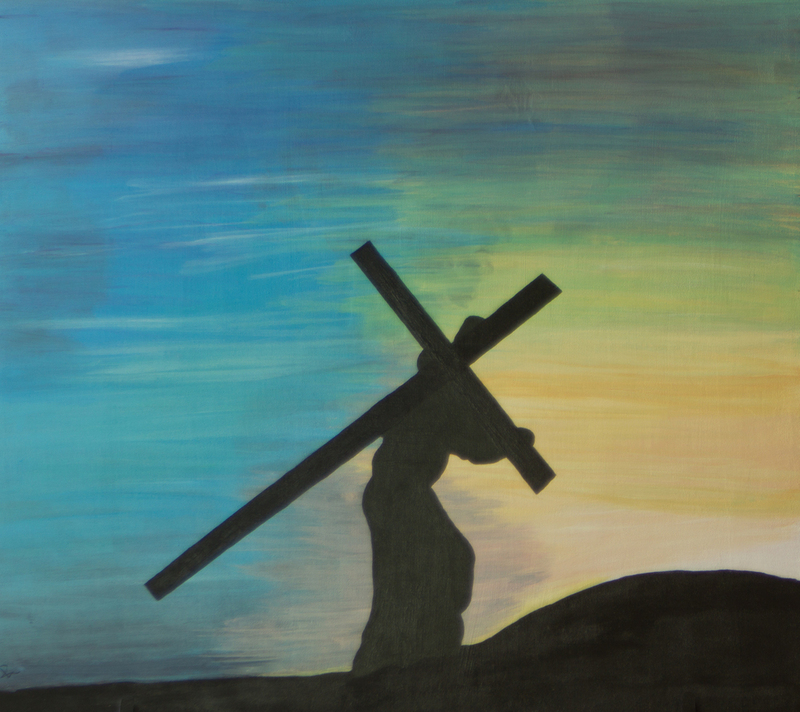 Each stop along the way became known as a ‘station’ of the cross. Since most Christians couldn’t make a pilgrimage all the way to Jerusalem, churches started to commission artwork to bring the stations into their sanctuaries. Many Roman Catholic churches have 14 stations around their nave so that anyone can prayerfully follow the ‘way of the cross’. The problem with the stations is that some of them are not found in Scripture. Jesus, for example, never falls with the cross in any of the gospels. The stations fell out of favor with Protestants during the Reformation for this very reason, as we believed all devotion must be centered in the Word. 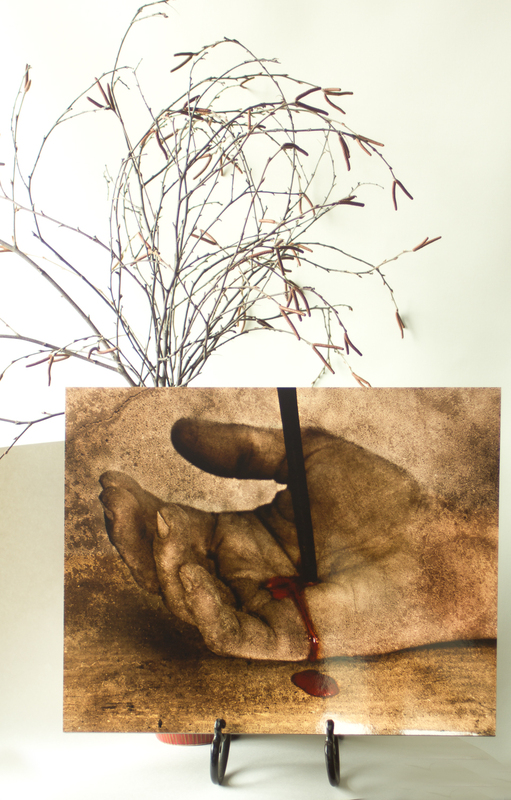 On Good Friday in 1991 Pope John Paul II issued scriptural stations of the cross. 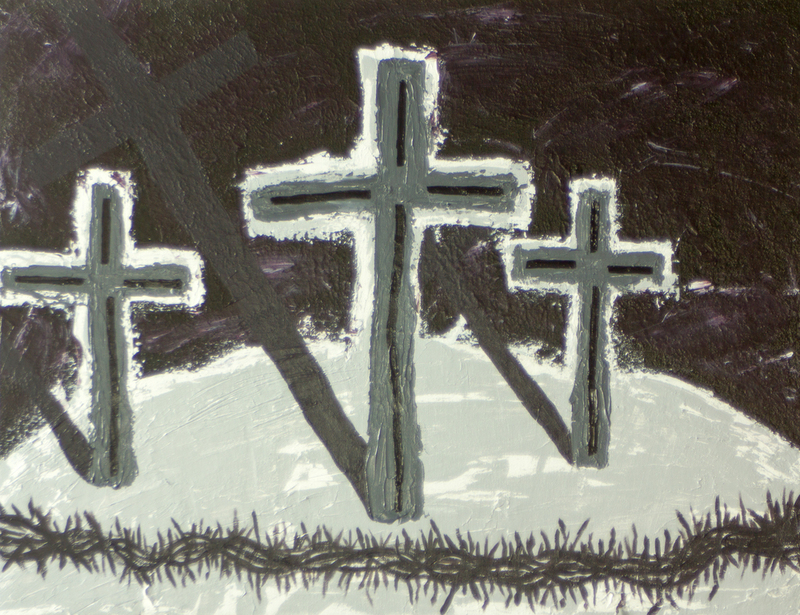 From the Garden of Gethsemane to the tomb, these stations make use of all four gospels so that we may follow the final steps of Jesus as he made his way to the cross. 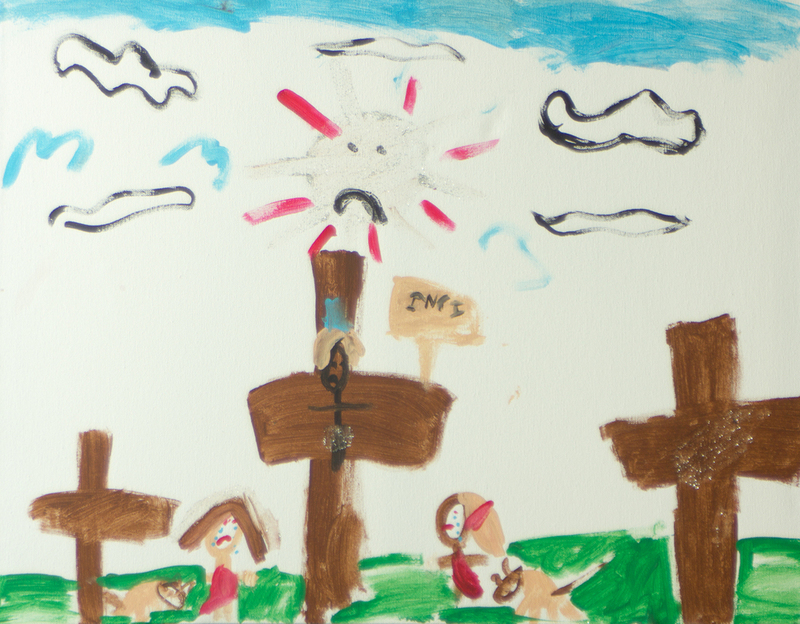 Thank you to all members of First who contributed artwork to this ministry!